It’s coming home, I can feel it. Football fans across the nation woke up on Tuesday morning with that winning feeling after some late drama in England’s FIFA World CupTM opener last night. Is it time to get excited yet? Probably not but the Three Lions are off to the strong start we’d all hoped for. England have not won an opening game in five consecutive major tournaments and have only made a winning start to a FIFA World CupTM twice, but in Volgograd it was a job well done. Gareth Southgate’s young side will have impressed more than a few with their approach to their FIFA World CupTM opener and began the game without the crippling fear of failure which seemed to have become a mainstay for the national side. The Three Lions played some fantastic free-flowing football and created chances for fun in the first-half – the best of them falling to Raheem Sterling and Jesse Lingard. In an exciting opening ten minutes, England hit Tunisia with wave after wave of attacks in what was arguably the most dynamic start to a tournament in recent memory. Harry Kane’s close-range opener was deserved and, most impressively, the reaction from the England players was to continue to press and hunt in packs as Tunisia tried to get a foot back in the game. Directly from the restart, England shut down the Tunisian defence at pace and looked certain to kick on and take the game to the North Africans. The creativity of Raheem Sterling, Jesse Lingard and Dele Alli behind Kane was promising to see in the early stages and there were some outstanding passages of play before and after the opening goal. But, after several glorious chances for a second went begging, the game looked to be heading down an all too familiar route. Tunisia’s somewhat undeserved penalty pulled them level and, as the game wore on, looked to have robbed Southgate’s side of a deserved victory. Fans across the country began to rue our missed chances and it looked likely Kane’s men would be punished for not being clinical enough. 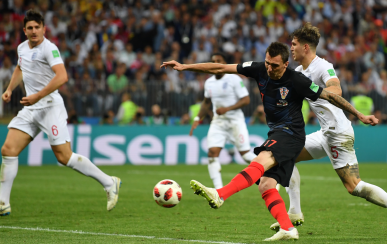 Tunisia grew into the game throughout the second half and England looked jaded until around the 80th minute when the tempo picked up once again. With the game locked at 1-1 and England desperately in need of that extra bit of quality to make the difference, the stage was set for England’s talisman to show once again why he is our best hope this summer. The youngest captain at the tournament lead by example and as Tottenham fans know, Harry Kane only needs half a chance to turn a game on its head. There was still an awful lot to do when the ball came to Kane on the edge of the six-yard box but he expertly despatched the opportunity. His stooped header generated enough power to guide the ball past the Tunisian shot-stopper. Southgate too should take the plaudits. The manager has stuck by his system of three central defenders with two wing-backs able to bomb forward. Kieran Trippier and Ashley Young offered width throughout the game last night and their defensive knowhow will come in handy when England face tougher opposition. The Three Lions boss also refused to be rushed into making changes. The late introduction of Ruben Loftus-Cheek and Marcus Rashford injected some much-needed drive into the forward line at a time when the game had started to drift away from England – the increased tempo and pressure ultimately led to Kane’s winner. In all, there were missed chances, defensive blunders and some frustrating periods during the game but the performance was by no means a disheartening one. 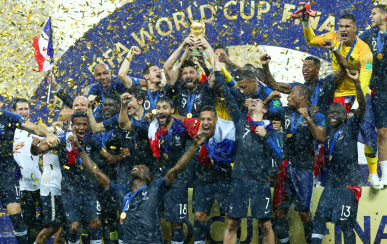 Rarely does a team click into gear in the opening game of a FIFA World CupTM, as proven with tournament favourites France, Brazil and even Germany. A major competition is a marathon and the big teams are all still feeling their way into the tournament. England now face a very winnable game versus Panama on Sunday which may all but secure their place in the knock-out stages – the outlook is good for England after day one.